I grew up during the start of one of the greatest tv networks ever.... The WB. A lot of you will remember it, while some may not. Every single show I loved and obsessed over in the late 90's - early 2000's was on this network. Buffy, Charmed, Roswell, Popular, and (of course) Gilmore Girls. Gilmore Girls was one of the few shows that both my mother and I enjoyed watching together so it holds a special place in my heart. Obviously, when I saw that a subscription box existed that focused on this show and the characters I loved so much, I had to try it out. 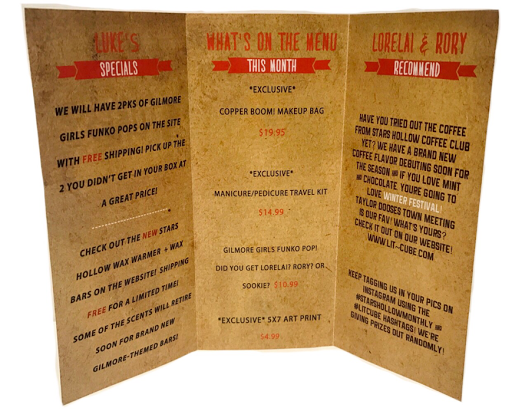 This is Stars Hollow Monthly! 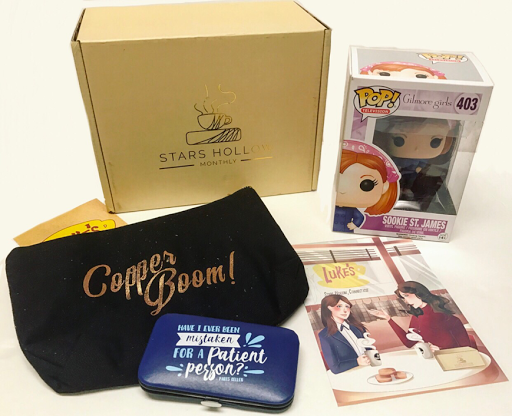 As I said, Stars Hollow Monthly is a monthly subscription box full of all things Gilmore Girls related. 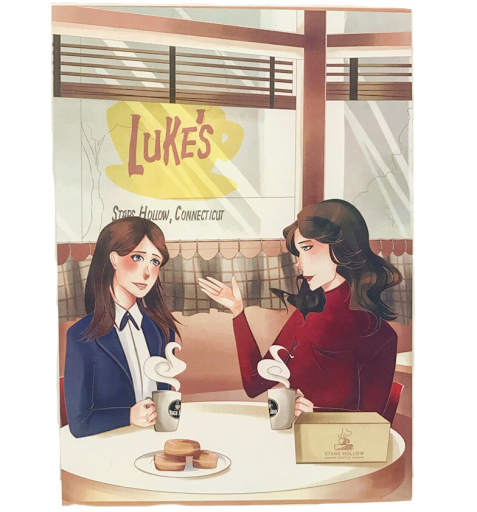 The cost per month is $34.90 and you can expect to see "3-5 products which are inspired by the Gilmore Girls & the fictional town of Stars Hollow. *Inspired by*, meaning items that relate to, are inspired by, or are artistic renderings of the show and its inhabitants/characters. * You can expect anything from home decor, fashion accessories, collectibles, bath & body items, edible products, and much much more." This is going to be fantastic, I already know! 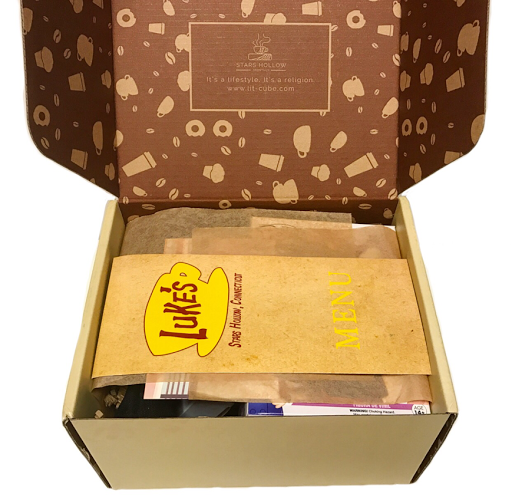 Of course, this box is curated by the people behind Lit-Cube, so I never really had any doubt that it would be amazing. And can I just say, I love the packaging of this box? It's simple but gorgeous! Art Print --- Really, we all know that when you think of the Gilmores, this is the picture that pops into your mind. Our two girls, discussing nothing and everything over coffee at Luke's. 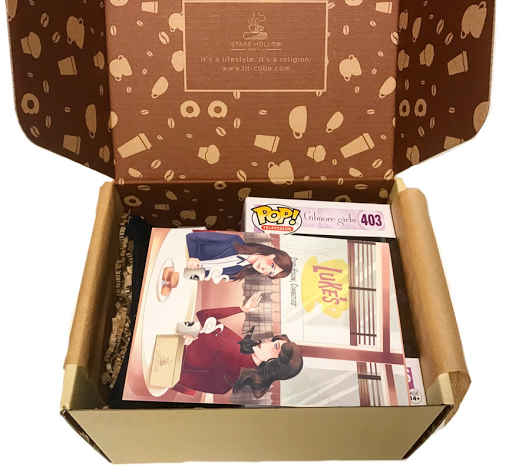 I love this print and I love that they added the Stars Hollow Monthly box into the design. So cute! Copper Boom! 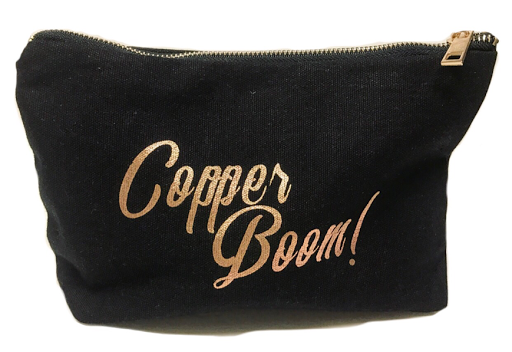 Makeup Bag --- How cute is this bag?! I love it! If you are wondering, the text refers to a conversation between Lorelei and Rory from episode 4x02. Rory: "It used to be a touch of mascara, dab of Coppertone, zip, bam, boom, out the door." Lorelei: "I heard copper and boom." Pop! 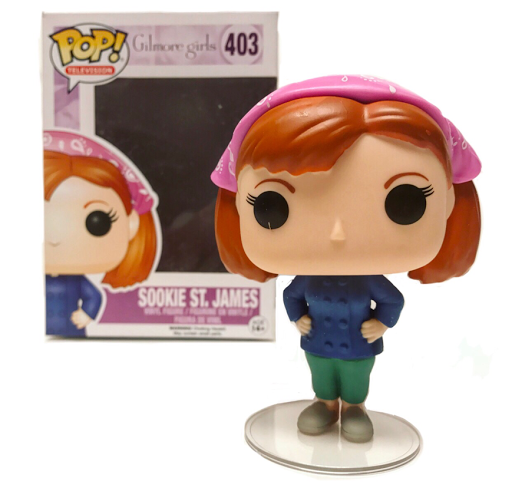 Vinyl Figure --- Oh, Sookie, I wish there had been more of you in the revival. Yes, I know melissa mccarthy is super busy these days but she will forever be the loveable Sookie St. James to me. I'm happy with this Funko and you could also have received Lorelei or Rory in your box. 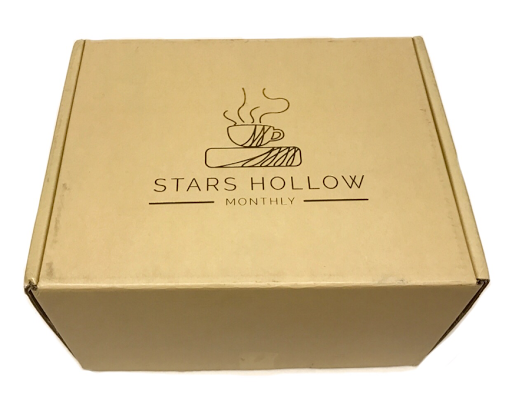 Should you want to complete your trio though, Stars Hollow Monthly has a great 2 pack deal on their site so you can get the ones you didn't receive at a good price! 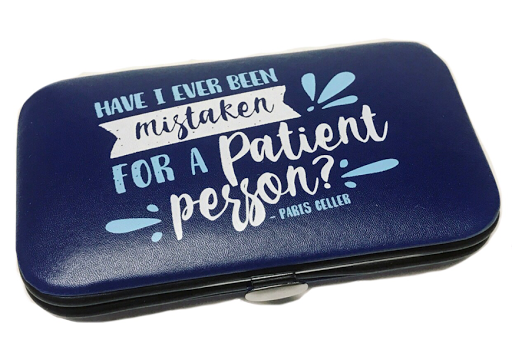 Manicure Kit --- Oh how I adore Paris and her snarky attitude. She is such a well written, real character, isn't she? I think so anyways! This came at the perfect time too! 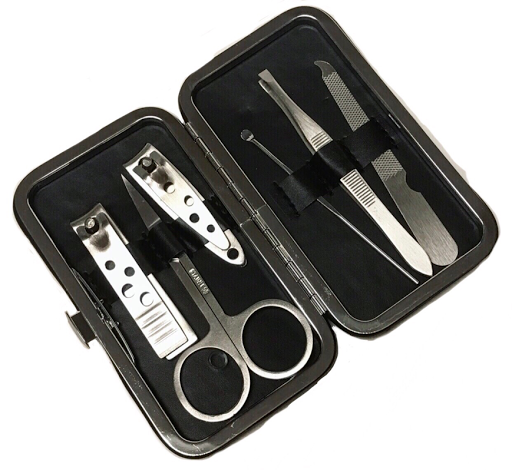 My husband is always losing my nail clippers so these are a much needed item for me! Very in my heart while I pray for more new episodes to come! Thoughts on Stars Hollow Monthly? Share with us!